Eddie Cottle argues that the labour relations architecture has changed with the introduction of a national minimum wage and that amending the LRA is a turning point in South Africa, but that South Africa is sitting on an industrial relations time bomb. Time will tell but there is little doubt that something had to be done about the violent nature of some strikes. Many strikes also lasted far too long and resulted in job losses and loss of pay in the longer run. There is still a need to distinguish between entry level wages and minimum wage levels as has been argued before given the need to create proportionate pay differentials starting from the true entry level. 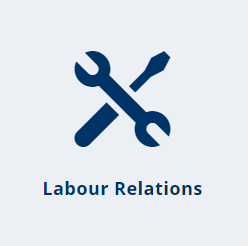 “On 29 May 2018, the South African Parliament passed the National Minimum Wage Bill together with the Basic Conditions of Employment Amendment Bill and the Labour Relations Amendment Bill. Most of the media is focusing on the minimum wage bill but the more draconian labour relations bill is to offset monetary gains of workers and undermine the constitutional right to strike. In order to understand this draconian trajectory we should examine the background to the bills and its link to the mining industry and the role of President Cyril Ramaphosa. The feeling by business to curb the right to strike is not related to high rates of industrial action, which averages 88 per year as compared to 66 per year in the 1950s. In recent years days lost due to industrial action has soared reaching a new historical average of 5,821,900 per year compared to 2,377, 878 days in the 2000’s. For business, especially mining, it has meant huge losses of income and similarly for workers in terms of wages. How was business interests especially mining interests to be secured with labour federations failing to compromise on changes to the right to strike? The negotiations at Nedlac between business, labour and government was held far from public scrutiny. Ramaphosa had managed to convince Cosatu and Fedusa that the introduction of the national minimum wage and the amendments to the LRA was a victory for both capital and labour. Ramaphosa achieved what highly paid professional negotiators could not achieve almost overnight. He effectively ensured a wholesale capitulation of labour leaders to bourgeois ideology that workers are to blame for violence and lengthy strikes, with little being said about the structural violence of the workplace, bad management practices or police repression. The introduction of a national minimum wage and changes to the LRA was in reality a completely one-sided affair. The post-apartheid industrial relations system was effective in reducing the number of strikes but not the number of days lost. The new dispensation heralded by Ramaphosa hopes to achieve a reduction in both of these. The amendments (LRA) contain all the key changes as proposed by business. The introduction of measures that will delay and inhibit the rights of workers to embark on protected strike action, through increasing the number of days for conciliation from 30 to 35 days, the introduction of secret ballots, and advisory arbitration. The strategic aim of the amendments is to take away the tactical advantage a given strike may have and in so doing fundamentally reduce the capacity of workers to win wage demands they have. In this sense, the new minimum wage bill was a political exchange for excessive prerequisites to strike and in so doing business hopes that its profit share will increase at the expense of workers and their families”.